INDEPENDENCE — Manzanar National Historic Site invites visitors to participate in a weekend of special events in conjunction with the Manzanar Committee’s 47th annual Manzanar Pilgrimage. All are welcome and the events are free. This year, the pilgrimage coincides with the sesquicentennial of Inyo County and the centennial of the National Park Service. The NPS Centennial encourages all Americans to “Find Your Park.” A park can be more than a place — it can be an experience. Pilgrimage weekend offers outstanding opportunities to “Find Your Park” through activities and the arts. On Friday, April 29, the Friends of Eastern California Museum will host a public reception from 4 to 6 p.m. at the Eastern California Museum. Located at 155 Grant St. in Independence, the museum’s exhibits include Shiro and Mary Nomura’s Manzanar collection, the Anna and O.K. Kelly Gallery of Native American Life, the “Life on the Lake” photo exhibit, and many other aspects of local and regional history. 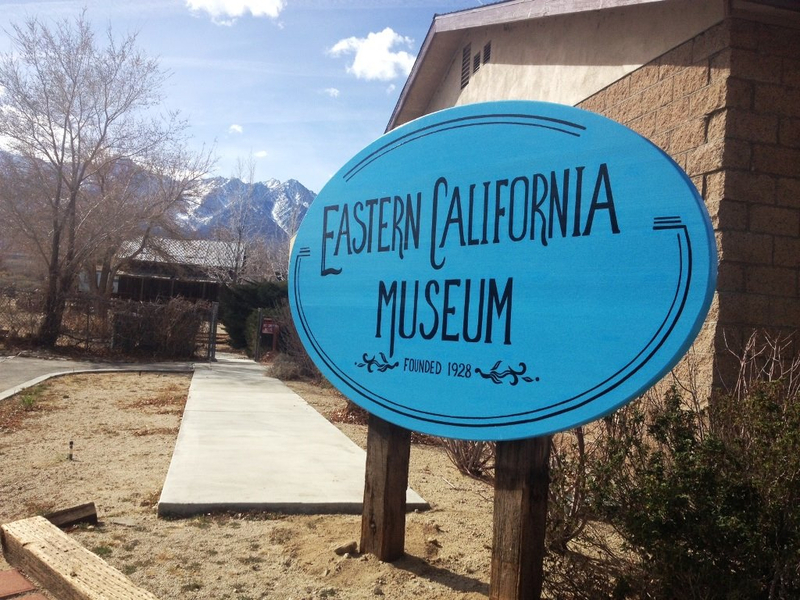 Eastern California Museum is open daily from 10 a.m. to 5 p.m. The Manzanar National Historic Site Visitor Center is open 10 a.m. to 5:30 p.m. daily. On Saturday, April 30, and Sunday, May 1, the center will extend hours by opening at 9 a.m. The center offers extensive exhibits and an award-winning film, as well as special Junior Ranger activities for kids. In addition to the bookstore, Manzanar History Association is hosting a “Selected Artists from the Henry Fukuhara Annual Alabama Hills and Manzanar Workshop” art show and sale through mid-May. A 1943 mural painted by Tamekichi Carl Hibino, on loan from the Eastern California Museum and recently conserved by the NPS, will be displayed on the auditorium stage. Just outside the Visitor Center, Block 14 features a restored World War II-era mess hall and two reconstructed barracks. The barracks exhibits offer an in-depth exploration of the challenges and changes people faced in their daily lives at Manzanar. The mess hall exhibits highlight the logistics and politics of food in Manzanar. Some of Manzanar’s most impressive archeological features are Japanese rock gardens. From 9 a.m. to noon on April 30, Madelon Arai Yamamoto and volunteer archeologist Mary Farrell will be at the restored Arai family fish pond in Block 33 to greet visitors and share stories about the pond’s discovery and excavation. Recent archeological work, completed with the help of 40 volunteers, uncovered numerous features in the administration area where most camp staff lived and worked. Dr. Cathy Irwin, educator and author of “Twice Orphaned: Voices from the Children’s Village of Manzanar,” will be the keynote speaker. Manzanar’s Children’s Village was the only orphanage in all ten camps, and home to 101 Japanese American children. Some were orphans before the war, others because of the war. Maytha Alhassen, a Ph.D. candidate in American studies and ethnicity at the University of Southern California, and a contributing author to “I Speak for Myself: American Women on Being Muslim,” will be a featured speaker. Owens Valley native and former Inyo County 4th District Supervisor Robert “Bob” Gracey will be honored with the 2016 Sue Kunitomi Embrey Legacy Award. The award, named for the late founder of the Manzanar Committee, recognizes Gracey’s efforts to manage the environmental clean-up and transfer of the historic Manzanar Auditorium to the NPS. Gracey’s work made the auditorium’s restoration into the current Manzanar Visitor Center possible. He also facilitated a land exchange expanding the national historic site to its current 814 acres, protecting key historic resources. The program concludes with the traditional interfaith service and ondo dancing, after which park rangers will offer walking tours to those wishing to explore Manzanar. The Manzanar At Dusk program begins at 5 p.m. Saturday at Lone Pine High School, located at 538 S. Main St. (Highway 395) in Lone Pine. The program offers participants opportunities for intergenerational discussions and sharing. The program is co-sponsored by the Nikkei Student Unions of Cal State Long Beach, Cal Poly Pomona, UCLA, and UC San Diego. At 10 a.m. on Sunday, Dr. Irwin will present a special program on the history of the Children’s Village in the West Theater of the Manzanar Visitor Center. She will be available to sign “Twice Orphaned” in the bookstore Saturday as well as after her program Sunday morning. With the exception of Friday evening’s reception and Saturday evening’s Manzanar At Dusk program, all events will take place at Manzanar National Historic Site, located at 5001 Hwy. 395, six miles south of Independence, nine miles north of Lone Pine, and approximately 230 miles northeast of Los Angeles. There is no food service at Manzanar. Bring a lunch or snacks and water. Wear sunscreen, a hat, comfortable shoes, and dress for the weather. For more information on Manzanar, call (760) 878-2194, ext. 3310, or visit www.nps.gov/manz, www.facebook.com/ManzanarNationalHistoricSite or http://blog.manzanarcommittee.org.